The title of this study might sound odd to those who are familiar with the number of books found in the Torah (the Law of the Most High). The Torah obviously consists of five books, not seven! In light of the above fact, what kind of heresy is being proposed in this study? As you will soon see, there is no great heresy here, no real adding to the Word of the Holy One. Rather, what is happening here is a delving-into of the Word as it already exists, wherein we will be able to discern intimate truths and wonderful realities that serve to further strengthen our faith in the redemptive plan of the Holy One. At a surface level, there is not much going on here to merit teaching the addition of two more books to the five already confirmed. But the above passage is just a translation, and one cannot go solely on translations when reading the Word. Recourse to the original words is needed, and to them we go. If you have access to a Torah scroll, or to any very reliable Hebrew text, you will notice the presence of two unique letters suspended immediately before and after these verses. The following image from a Torah scroll shows the letters isolated quite well. These letters are the Hebrew letter Nun (not the Catholic variety, but the Semitic, yielding the N sound, and pronounced as “noon”), and they essentially form what appears to be similar to modern brackets [ … ] around the verses. However, it needs to be noted that Hebrew does not use brackets in Holy Writ. Thus, the idea that they are intended as such is not tenable. Something else is hinted at with their placement in the flow of inspired text. It should also be noted that the way the letter is drawn in the above image from the Torah scroll is not the normal way. Instead, it appears with something of a "backwards-facing" top. It is essentially inverted, so that it might catch the eye of the reader, for in Torah scrolls, the scribe is held to correctly forming each letter so that they are uniform, and no confusion can arise for the reader. Such an appearance as this stands out to a reader of the Hebrew text. Different scribes will draw this letter in varying forms, just so that it is sufficiently distinct from the surrounding text in order to cause the reader to know something different is happening in the text of Scripture at that point. 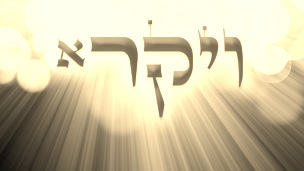 This is the only time in the Torah where these letters appear “floating” in the text. They have been included in scrolls quite faithfully for literally thousands of years. Why are they present? What is their purpose? The answer to these questions is the goal of this study. This idea of Numbers 10:35-36 being an entirely separate book is one that was held as valid by many ancient sources. A few are shared here. According to the Midrash Chaseiroth V'Yoteiroth, when speaking about this passage, it declares: “It is a hidden book.” In the Mishnah, in Yadayim 3:5, the ruling is made that any text of Scripture that is eighty-five letters in length or greater must be attempted to be rescued from destruction by fire if such should befall it, based on the fact that the text from Numbers 10:35-36 is viewed as a brief, but complete book, and it consists of only eighty-five letters in the Hebrew. The Medieval Jewish commentator, Tobiah ben Eliezer, in his book Lekach Tov (known also as the Pesikta Zutarta), states also that these two verses comprise an entirely separate book of the Torah. In light of these ancient perceptions, it can thus be said that seven books are found contained in five. The idea that it would become seven is significant for us, since literally hundreds of spiritual insights are contained in Scripture through things that are listed in sets of seven. Seven times the Holy One confirmed that His creation process was “good.” The finished creation was crowned with the Sabbath on day seven. Noah was commanded to take seven pairs of clean animals into the ark. Abraham, Isaac, and Jacob, the patriarchs of our faith, altogether built seven altars in the Promised Land. Seven appointed times were ordained for the followers of the Most High by His own decree. There are seven steps for a Levitical priest to take in order to begin his ministry. Elijah performed seven miracles. In the book of Revelation, there are mentioned seven lampstands, stars, Spirits of Yah, seals, trumpets, vials, and voices. These are only a very small example of an incredibly complex series of sevens that run throughout all of the Word. What this does is show how the Spirit uses the grouping of seven to point to spiritual concepts and insights we should seek out and appreciate. Wisdom has built her house; she has quarried her seven pillars. Scripture blatantly equates the Torah / Law with wisdom in such places as Deuteronomy 4:6, Psalm 111:10, and Proverbs 31:26. These passages were particularly in mind for the commentators of old to suggest that Proverbs 9:1 was speaking spiritually about the Torah being “Wisdom,” as well. The Father’s Word is thus equatable to wisdom. It is hewn out of seven eternal columns: the seven spiritual books of the Torah. In the physical, we see only five books, but with spiritual eyes, seven books are perceived. But why is it important to note this? The content of the Torah has not changed with this perception. Nothing has been added to the Law that was not there before this understanding. What is to be gained from looking at the Torah in this manner? Much in every way. Beneath the surface text of the Word runs the living water of the Spirit, vivifying every sentence, every word, every syllable, every consonant and vowel sound. The well of eternity springs up through the text, and when we tap into that fountain of faithful perception, we find that there exists far more wonders than we could ever imagine. Meaning goes on forever, and we reel in the overflow of His greatness. The entire letter of the Law is upheld by the spiritual absolutes that underlie it. 1. “She has slaughtered her slaughtering.” This parallels the book of Genesis, whereupon the Lamb was slaughtered from the foundation of the world. The means for providing for forgiveness to men has been available from the beginning. Genesis contains the astonishing story of the near-sacrifice of Isaac by his father, Abraham. For all intents, Abraham had sacrificed Isaac in his heart. It was as good as done when he was stopped from actually doing it. This speaks profoundly to the Messiah Lamb slain from the foundation of the world. 2. “She has mixed her wine.” This points to the book of Exodus, which has the Passover event centered around the blood of the lamb, for which wine is used as a symbol in the Word. The blood of the lamb of Passover was applied to the homes of faithful Israelites and the assorted peoples who obeyed the command to do so. Thus, the blood was for a mixed multitude in the book of Exodus. She has mixed her wine means that the redemption of the Lamb is for all peoples who obey the call to follow Him. 3. “She has also ordered her table.” The declaration points to the underlying theme of the book of Leviticus by the fact that it is at the table where intimate fellowship is had between individuals. It is the meeting-place where men are accepted before each other. In Semitic cultures, you do not invite an enemy to dine with you. You would not sit at a table with an idol worshiper. Leviticus is all about coming together; the Holy One has prepared a table for us, so to speak, in the Tabernacle, and we are bid to come before Him and find that He is for us, not against us. 4. “She has sent forth her maidens.” This speaks powerfully to the book of Numbers, which largely recounts the sending forth of the nation of Israel into the wilderness for forty years, and its journeys there. The word used here for “maidens” is NAARAH, and has the implications of virginity, of purity. The idea is that of a woman in Scripture who is fit to be married. The book of Numbers sees the congregation of Israel, in their going-forth into the wilderness, being pruned and refined, so that what is left to enter the Promised Land is a spotless bride for the Holy One to embrace. 5. “She cries out upon the heights of the elevations of the city.” This points to the book of Deuteronomy, that book whose content is almost exclusively a long speech spoken by Moses before the people enter the land to inherit what was promised to Abraham. At the brink of all their hope, the Torah was recalled to their attention, that they might remember to leave behind all the ways of the world and worship alone the One who made the world. Moses cried out the Torah once more, then ascended the heights of Pisgah, the “Division,” where he was divided from the land of the living. His final words echo similarly those of wisdom in Proverbs 9:4-6. The end result is that there are five actions and two invitations. The total is thus seven. It takes a careful eye to note that although she says more than just two thoughts, she only gives an invitation in two different instances. Herein is the seven within the five! With spiritual eyes we can see the physical history of the people of Israel is also an invitation to come to the One who redeemed them from sin. When understood in this manner, the placement of the two Nuns at the beginning and end of the content of Numbers 10:35-36 becomes obvious: the context is about the movement of the ark of the covenant. It speaks about the journeying and the return of the sacred object to the camp of Israel. That the text would be adorned before and after with a Hebrew letter that, at its innermost, conveys the idea of movement makes complete sense. Here is one young boy who has five cakes of barley and two fishes. But these – what are these for all those? The reader should notice immediately the five/two ratio of the bread and fish here. The five cakes of barley bread obviously parallel the five books of the Torah. But why are two fishes included here to make the seven? What do two fishes have to do with this? How do they relate to the unique letter Nuns that help us see the seven books of the Torah? How does this all connect? This is where the fulfillment of ancient Scripture really shines so powerfully in the life of Messiah; in Hebrew, the letter Nun means “growth / movement,” as was explained above. However, Messiah’s main language was Aramaic, which Acts 1:19 references is also the language of the land of Israel in those times, and in Aramaic, the word NUNA means “fish.” It is the very word used above in verse 9 to translate “fishes,” as well! NUNA in Aramaic is the cognate of NUN in Hebrew, for the whole experience of a fish is motion / movement, as the NU germ word expresses. The connections make complete sense. Do you see the wisdom of the Holy One at work? Placed on either side of the passage about the movement of the Ark of the covenant among the tribes are unique occurrences of the letter Nun, and these serve to point us beyond the physical five books of the Torah to the spiritual seven books of the Torah. Then, when the embodiment of the ark of the covenant, the true manna from heaven, and the true Priest who would experience resurrection is moving in the midst of the tribes – Yeshua – He shows Himself in a powerful miracle involving five cakes of barley and two fishes, whose name is the Aramaic cognate of the Hebrew letter Nun! And they gathered and they filled twelve large baskets of those morsels which abounded of them that had eaten from the five barley breads. Do not think for a moment the number of leftovers is insignificant. Twelve baskets remained of pieces of bread! Remember that the words of Moses at the journeying of the ark of the covenant in Numbers 10:36 were that it “return” to the myriads of Israel. The myriads of Israel are the twelve tribes! The twelve leftover basket-fulls of bread parallel the twelve tribes seamlessly. Neither should be missed is the fact that no fish remained from the feast. The five cakes of barley bread multiplied, and remained for further consumption. But no fish remained. The five cakes of barley parallel the five physical books of the Torah, which remain, even after we “taste and see” that He is good. One cannot literally perform all of the Torah, since not all of the Torah applies to an individual. One can only perform the commandments that apply to them, and leave the others to those to whom they apply. However, the two fish parallel the spiritual side of the Torah, which we are supposed to take in and by which we grow inwardly, and in this sense, it applies to us as a whole. The spiritual side of the Torah applies to us completely. The spiritual aspect of the Torah is to be infused into us wholly, to take it and allow it to become a part of who we are. All of this is gleaned from John 6:13, which is rather notable, in that there are traditionally 613 commandments counted to be in the Torah. The Holy One desires us to use His Words correctly, to apply them physically as is necessary, and spiritually, as is vital to our relationship with Him. The five books of the Torah and the seven books of the Torah are merely facets of the same gem that is His Word. The jewel of the Most High has been placed into the hands of His people, and we have been given the opportunity to appreciate the beauty it holds, and know that it is a gift that shows us how much He cares for us. This care is alluded to in the words of Numbers 10:36, where the Hebrew literally says, “Return, YHWH, [to] the myriad thousands of Israel!” The [to] is properly in brackets, for it is not in the text, and as such, the declaration of Moses, if understood without the [to] in the context, becomes a plea for redemption. When one looks intently at the Torah, we can see that the need for Yah to return to us is the most pressing and urgent in all of history. May that need be realized in the life of every one who reads the books of His Torah.